The Army Corp of Engineers cited “Public Safety as their #1 priority” to open the Morganza spillway. One bay of the giant structure was opened Saturday at 3 p.m. local time, sending water out at a predicted 10,000 cubic feet per second. My knowledge of the Louisiana spillway is not a lot, so I leave it to the links to give the information. I do know that more farmland has been flooded. This particular levee has only been activated once, which was in 1973. According to published reports, it was to protect the bigger towns of Baton Rouge and also the Oil Refineries. The path of the Mississippi River leads straight to the gulf. Maybe the intention of the corp is to send the water into the gulf to fill up there. Estimated reports of damage along the River Towns has been estimated to be approximately $2 billion dollars. I can only think about the effects of the damage of Hurricane Katrina as I watch the flooding happening in Louisiana and wonder about those affected. Hurricane Katrina was one of the five deadliest storms to hit the United States in recent history. The death toll was 1,836. Damage was estimated $80 billion dollars. The Governor of Louisiana had been urging those in the path of the flood waters to evacuate. It is of concern the survivors who still live in this area are those who least need to deal with another flood and be reminded of what they endured. What purpose did it serve the Army Corp of Engineers to blow up the levee in New Madrid to flood Pinhook, Dorena and the farmland in Southeast Missouri to save Cairo? If anyone has been paying attention to the news lately, most of the south has been flooded. 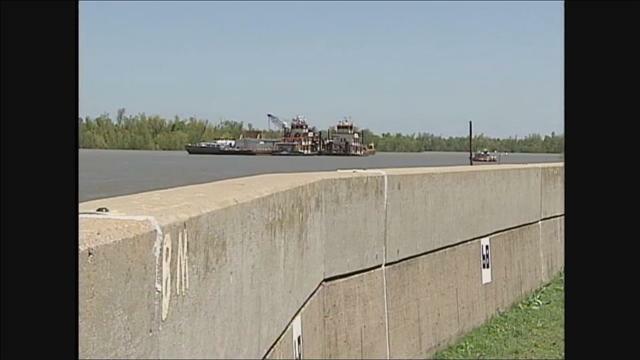 The mighty Mississippi is moving at a fast pace and is threatening to flood a town that was hit hard several years back by Hurricane Katrina: Louisiana. I guess what I really want to know is was there another reason for them blowing up the levee? Many years ago, the Army Corp of Engineers had talked of closing a 1500 foot gap in the levee. Now maybe I may have my levee’s mixed up. There is another levee in the area near Big Oak State Tree Park that is referred to as the St. John’s Bayou. Maybe these two levees connect. If I am not mistaken, when they blew up the levee, the third blast was done at this point. The Army Corp of Engineers did an environmental impact study that basically said it would be detrimental to the fish and wildlife and this is why they would not close the gap in the levee. So I was wondering, why would they blow up the levee? If you live in the area, you know there is a second levee between Pinhook and East Prairie, and the water has not crossed this levee. The water stops at the other end of the Ten Mile Pond near the Levee Store. Everything on the other side is flooded. The farmland, the homes are all full of water. From what I am told from sources, a lot of this land belongs to a group of people called the Pinhook Hunting Club and also the Missouri Conservation Area. I also have met up with a group of people who informed me about a week before the levee was blown that blowing the levee in Missouri was not the only levee that would be blown. The Army Corp of Engineers were going to blow levees even further south. As I watch the water travel to Memphis and Louisiana, I think about what was told to me. How right they were. Monday night, the Birds Point Mississippi River Levee was breached by the U.S. Army Corps of Engineers, ending the argument over whether to flood Pinhook, Mo., and 130,000 acres of farmland. 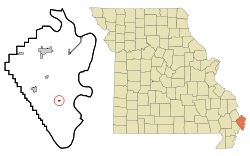 In its editorial “Mother Nature wins” (May 3), the Post-Dispatch reduced this debate to a prosaic conflict between farmland in Missouri and people in Cairo, Ill. That view is insulting to the Missourians who (until last week) lived in the New Madrid floodway, and it disregards the grim reality along thousands of miles of Mississippi and Ohio riverfront. This was not an either/or situation. Historic river levels still threaten Cairo. 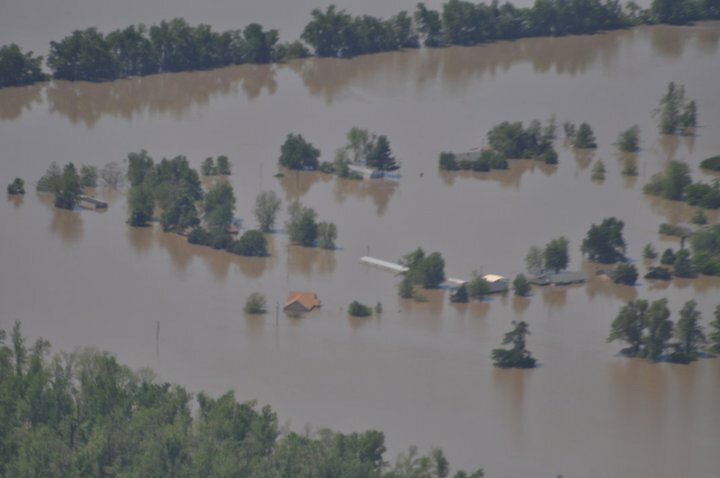 Other communities on the Mississippi River are besieged by floodwaters. The New Madrid floodway is not a failsafe for the aging infrastructure throughout the system. The conflict deserving of public attention isn’t between the New Madrid floodway and Cairo; it’s between those working to secure 21st-century flood protection along the Mississippi River and those who would rather turn it into 16th-century fish habitat. Each requires a confrontation with nature. In a modern system favoring human beings and hundreds of millions of dollars in annual commerce for our state economy, we must build levees, locks and dams and maintain them to modern standards, resulting in farms, jobs and public safety. The alternative favored by fish and environmental extremists requires annual floods of varying severity in which thousands of families, homes and businesses are placed in peril by a wide and wild river. In Pinhook and Cairo is widespread agreement in favor of flood protection. My last visit to Pinhook was seven years ago. I hate to think it has been that long ago. I had returned for a funeral. My mother recently asked me to go back with her to clean out a storage unit of my grandmother’s belongings so we could locate some important papers. We were in the process of planning a trip back to this spring to take care of this when we got word of all the rain that was beginning to fall and the possibility of the Army Corp. of Engineers breaching the levee. Never in my wildest dreams did I think they would do this. I thought back to the floods of 1973 and 1974. We had moved from Pinhook and taken my grandmother’s trailer home to town at the time. Most of the families had decided to leave. My mother was adamant that she was going to remain. The other families told her she could not stay alone with her two young children. It was just too dangerous. With the potential of the water rising, there was no way that it was remotely safe for her to stay. She insisted that she remain and protect her property. After they convinced her to finally leave, we packed up our essential belongings and headed out. Well, my mother, hard-headed as she is, insisted she drive her car. We were placed in the bean truck with a gentleman mother drove Pontiac Le-Mans through the flood waters. Now, imagine, the ditches on either side of the road were at least 6 feet deep or more, and the water on the road was almost covering the hood of the car as we drove slowly for the mile out of this water. We got through it, on pins and needles no less. We spent about three or four months away from our beloved Pinhook until it was deemed safe to return home. Our cousin Jerome Robinson and Mr. Eza Lee Cross stayed in our home, at my mother’s request to protect our home. Jim Robinson and his brothers, Cal and Lynell who were farmers, all remained on Pinhook to protect the property of the homeowners. George Williams, who drove our school bus had moved his family into town as well. In 1974, we made the move once again into town. Some of us moved to Charleston instead of East Prairie this time. We again were gone a few months. Now, you must know that during this time, the flood waters never reached the homes on Pinhook on the main road. Jim Robinson and a few 0thers who lived a few miles a little farther back, weren’t so lucky. After Jim and his family rebuilt that last time, they made the decision to build closer to other families. Most of us helped in the rebuilding. My last trip home was to Jim’s funeral. My grandmother married his uncle, so we were related by marriage. After my husband and I moved to New York, it became more difficult for us to travel home. We could only make one trip back home a year. My mom moved away as well, and now she no longer lives in Missouri. We now have to split our time between two families. I miss home more than ever. When I dream, I dream of Pinhook. Its the only real home I ever had. Another person who was important to me recently passed away. Mary Williams. She was like a mother to me. I spent more time at her house than mine. My husband and I had just returned home to New York from Missouri when we received word of her passing. It’s like losing a part of who you are. I miss her even though I had not seen Mary in a long time, I still yearned for what was. I miss her children, because they were like my brothers and sisters growing up. So as I have been sitting here watching the news and the levee being blown up by the Army Corp of Engineers, I think back to all of my childhood memories. That is not to say that I don’t think about them before this. It’s just it has put them at the forefront of my mind on a daily basis more than ever. I think about the clubhouse that Faye and Vanessa and I used to build. It all makes me remember us riding our bikes down to the corner, then going down in the field, down that little dirt road past the row of trees, back around to that little spring and come up in front of Daddy Jim’s house and pick some Pecans. Maybe ride our bikes down to Retha and Jim’s house. If that didn’ t suffice, head on over to the church and hang out down by the row of trees and feel the cool breeze by that old tractor. Maybe have a water fight from house to house. Oh, what about everyone coming to my mom’s house for cool drink of water from her fridge and listen to her get mad about it? The Flood Control Act of 1928 enacted by the 70th Congress of the United States authorized the Army Corp of Engineers to design and construct projects to control floods on the Mississippi River and its tributaries. This was in response to the great Mississippi flood of 1927 , and was sponsored by Sen. Wesley L. Jones (R) of Washington, and Re. Frank R. Reid (R) of Illinois. The Flood Control Act gives the Army Corp of Engineers Control. The Early History: Blow the levee to protect Cairo Illinois? Well, I digress. We haven’t gotten there yet. We will. Still working on some background information for now. Here is the link to Mr. Roll’s webpage. It is a very informative piece about the plight of both blacks and whites looking for a better way of life in Southeast Missouri. Wikipedia’s description of Pinhook is cold. It has no personal feelings. It deals in numbers and facts. See below. Pinhook is located at 36°44′21″N 89°16′4″W (36.739225, -89.267693). According to the United States Census Bureau, the village has a total area of 0.1 square miles (0.4 km²), all of it land. As of the census of 2000, there were 48 people, 20 households, and 15 families residing in the village. The population density was 336.1 people per square mile (132.4/km²). There were 21 housing units at an average density of 147.0 per square mile (57.9/km²). The racial makeup of the village was 10.42% White, 87.50% African American, and 2.08% from two or more races. There were 20 households out of which 35.0% had children under the age of 18 living with them, 40.0% were married couples living together, 35.0% had a female householder with no husband present, and 25.0% were non-families. 25.0% of all households were made up of individuals and 10.0% had someone living alone who was 65 years of age or older. The average household size was 2.40 and the average family size was 2.87. In the village the population was spread out with 29.2% under the age of 18, 6.3% from 18 to 24, 29.2% from 25 to 44, 18.8% from 45 to 64, and 16.7% who were 65 years of age or older. The median age was 38 years. For every 100 females there were 71.4 males. For every 100 females age 18 and over, there were 70.0 males. The median income for a household in the village was $15,417, and the median income for a family was $16,250. Males had a median income of $23,750 versus $16,250 for females. The per capita income for the village was $10,114. There were 47.1% of families and 55.4% of the population living below thepoverty line, including 50.0% of under eighteens and 83.3% of those over 64. If you were to ask someone who “lived there” to describe Pinhook, they wouldn’t give you these cold facts. It sounds so impersonal. However, this is the dictionary function of Pinhook and it is not really reflective of the community we know.